Data scientists are in demand for employers, and job postings for this high-skilled and well-paid position continue to grow quickly; however, data-centered skills saw greater growth. In 2016, data science skills in postings grew by 40 percent and demand for data visualization skills grew by 31 percent, according to a 2017 report by Burning Glass Technologies. When looking at job postings specifically for “data scientist,” the pace of growth was 16 percent from January 2016 to January 2017 and 17 percent from January 2017 to January 2018. While the number of data scientist positions have been on a rise in recent years, the skills required for such a role have seen even more demand. Earlier this year, LinkedIn reported the most needed hard skills in 2018 based on LinkedIn data and surveys. Statistical analysis, data mining, data presentation, Python/Ruby/Perl, and data warehousing all made the list of 25 top skills. Along with these previous listed, other skills for a data scientist include machine learning, analytics, data mining, and Python. An Indeed job search for these skills found over 120,000 postings in the United States. These positions varied in job titles from data analyst to data scientist to machine learning engineer. In comparison, a search for the job title “data scientist” only returned 3,877 openings. 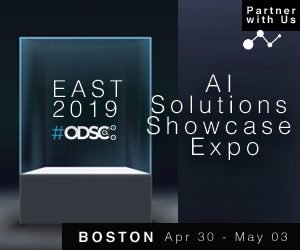 However, as many data scientists know, the skills currently needed to succeed in the role cover various disciplines from analysis, visualization, and engineering. Training for such positions is generally self-taught or adopted from previous experiences and positions due to the new and budding nature of the field. A decade ago, data science as a degree or course at both the undergraduate and graduate level was foreign to universities, which has quickly changed. A 2017 Kaplan Test Prep survey of business schools in the country found that 72 percent offer courses in data science or big data. 29 percent of business schools offer coding or development courses to teach similar skills. 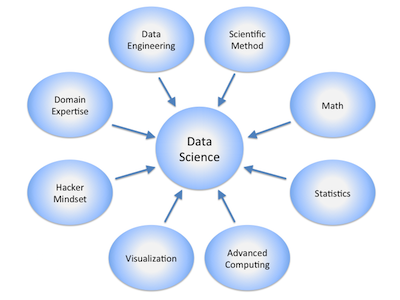 The current group of data science professionals comes from a range of backgrounds that used these skills and the same skills are still applicable and relevant to a variety of jobs. LinkedIn found that current data scientists held positions such as research assistants, teaching assistants, software engineers, and business analysts prior to their current roles. Moving forward, while openings for data scientists are increasing, other roles are becoming increasingly popular where data scientists can apply their multifaceted experiences. The combined skill set of data analysis and coding skills such as R, SQL, Python, etc., returned the most job openings with over 100,000 postings at companies like Amazon, Microsoft, JPMorgan Chase, Asuragen, and Google. Across the board, Amazon led with the most positions ranging from big data, machine learning, visualizations, and data analysis. Finance companies like JPMorgan Chase and Goldman Sachs held some of the top number of postings for titles like big data engineer, data analyst, or machine learning expert that use skills like big data, data mining, or artificial intelligence. Technology companies like Samsung Electronics, Amazon, and Microsoft led the top of the list for data scientist and data engineer postings. When looking at the different subset of skills required for data scientists like visualization, coding, big data, and deep technology, coding combined with data skills still show the most demand in the overall market; however, the need for professionals with big data and artificial intelligence skills is increasing as well. For the time being, do you care to see how your data science skills compare with other professionals in data science and machine learning? Check out this d3.js interactive created by Dice.com. From these insights, the future for data scientists is bright. While openings for data scientists continue to grow, the industry is simultaneously creating and adapting positions that mirror the techniques and skills that data scientists are currently implementing. The main lesson here is that it’s not the title that makes the difference – it’s the skills you have that do. Note: The analysis of current openings was based on Indeed.com job searches. Are you looking to start a career in data science, or do you want to find a new position? Career fairs are a great way to meet with hiring managers from multiple companies, get valuable advice on-the-spot, and gain more valuable insights into the industry. 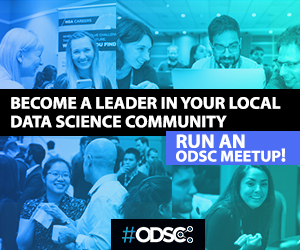 Visit ODSC West and ODSC Europe for information on upcoming career fairs.